• Very important Islamic objects for Muslim world in Bukhara and Samarkand. • City hero – Otrar. • Mausoleum of Akhmed Khodja Yassavi in Turkestan town. 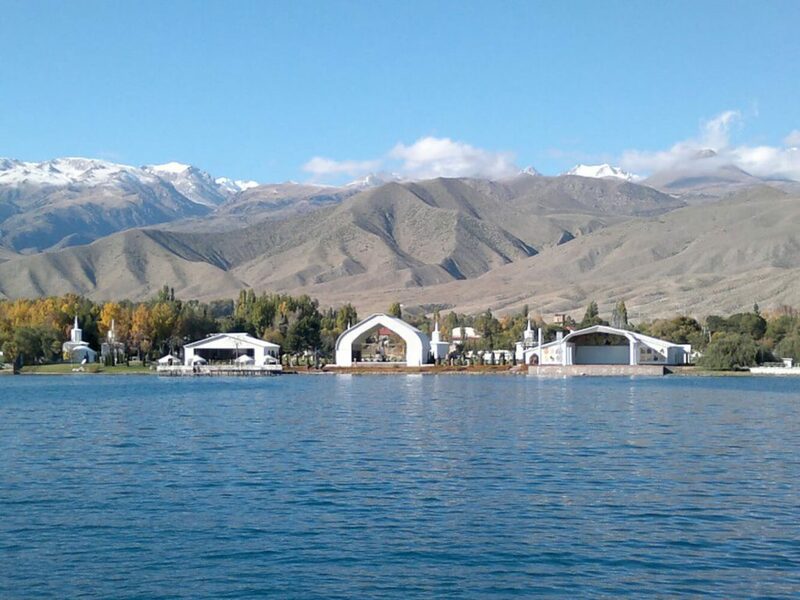 • Second alpine lake in the world – Issyk Kul Lake. • Dungan mosque and Orthodox Cathedral in Karakol town. • Formal capital of Kazakhstan and its features. Day 1. Flight to Tashkent city. Arrival in Tashkent. Accommodation in hotel. Rest. Morning flight to Urgench town. Arrival in Urgench town. Transfer to Khiva (35 km). Morning sightseeing in Khiva: Visit to the oldest part of the city: Kunya-Ark fortress, including Kurinish Khana (17th century); Mohammed-Amin-Khan Madrassah (19th century), Islam Khodja Minaret; Palvan-Kari complex, Abd Al Bobo complex (18th century), Rafanek Madrassah, Mohammed Rakim Khan (19th century), Amir-Tur Madrassah, Sho-I-Kalandar Bobo Mausoleum. Afternoon sightseeing in Khiva: Uch Avlioli («three saints») Mausoleum, Jami Mosque (18th century), Kutluq-Murad Inaq Madrassah (19th century), Pakhlavan Mahmoud Mausoleum, Tash Hauli Palace, Alla-Kuli-Khan (18th century), Arab Mohammed Khan (18th century) Madrassahs. Day 3. 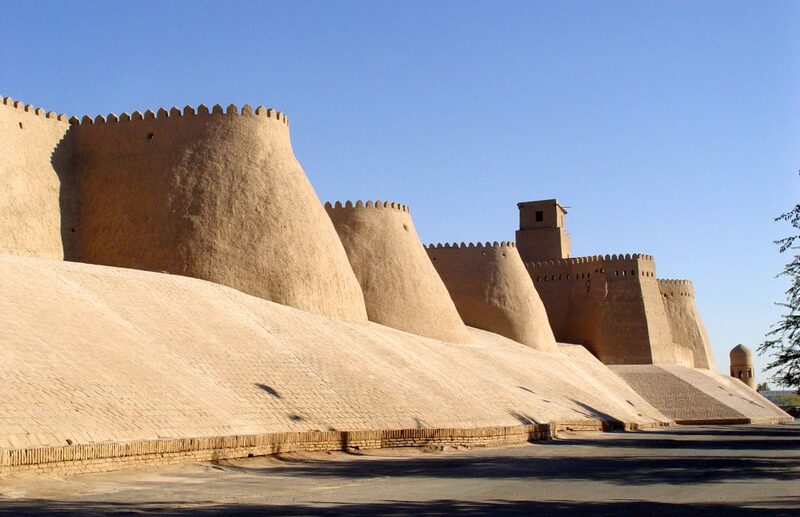 Khiva town – Bukhara town. 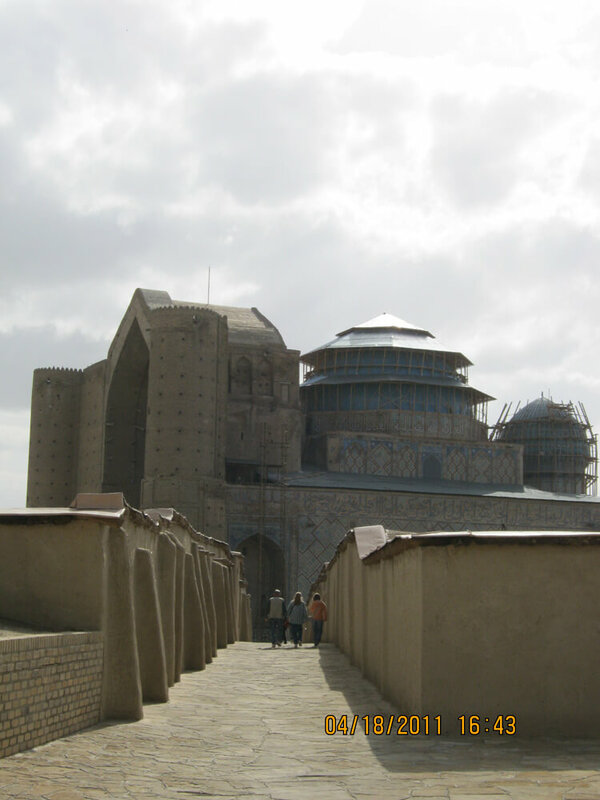 Transfer to Bukhara (450 km south-east of Khiva across the Kyzyl Kum desert). On arrival to Bukhara accommodation in the hotel. Morning sightseeing in Bukhara: Ismael Samani mausoleum (9-10th centuries), Chashma-Ayub Mausoleums (14th century), Registan ensemble, Ark Fortress (16th century) and Bolo-Hauz complex (18th century). Afternoon sightseeing: Poi-Kalon ensemble (including Minaret (12th century), Mosque (15th century), functioning Madrassah Miri-Arab (16th century), Amir-Alim-Khan Madrassah (14th century), Taqi (trading domes), Kukeldash Madrassah (16th century). National dinner with folklore show. Day 5. 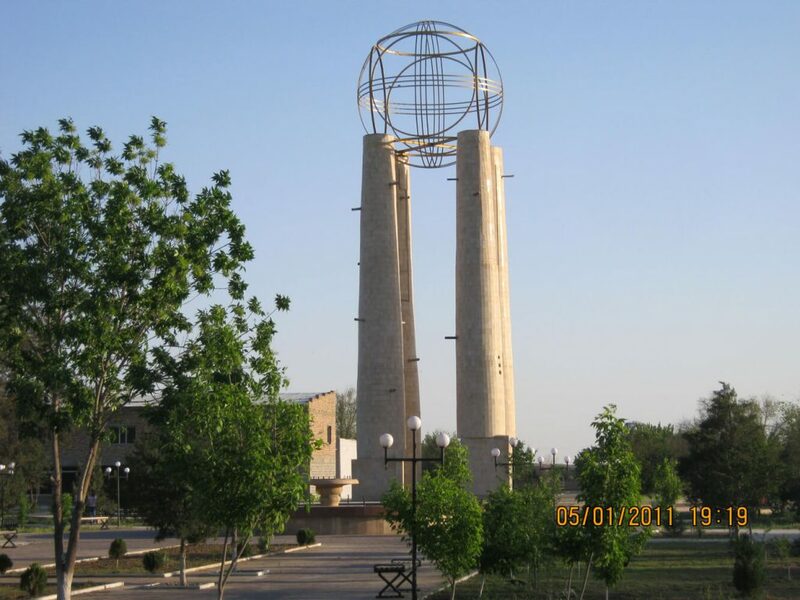 Bukhara town – Shakhrisabz town – Samarkand town. Transfer to Samarkand town. En route visit Shakhrisabz. Short sightseeing tour here and continue drive to Samarkand town. Arrival to Samarkand town. Accommodation and overnight. Morning sightseeing: Registan Ensemble (including Ulugbek Madrassah (15th century), Shir Dor and Tillya-Kari Madrassahs (17th century), BibiKhanum Mosque. Visit to the local bazaar. Afternoon sightseeing: Ulugbek observatory (15th century), Gur-e Amir Mausoleum (15th century), Shahi-Zinda necropolis (14-15th centuries). Day 7. 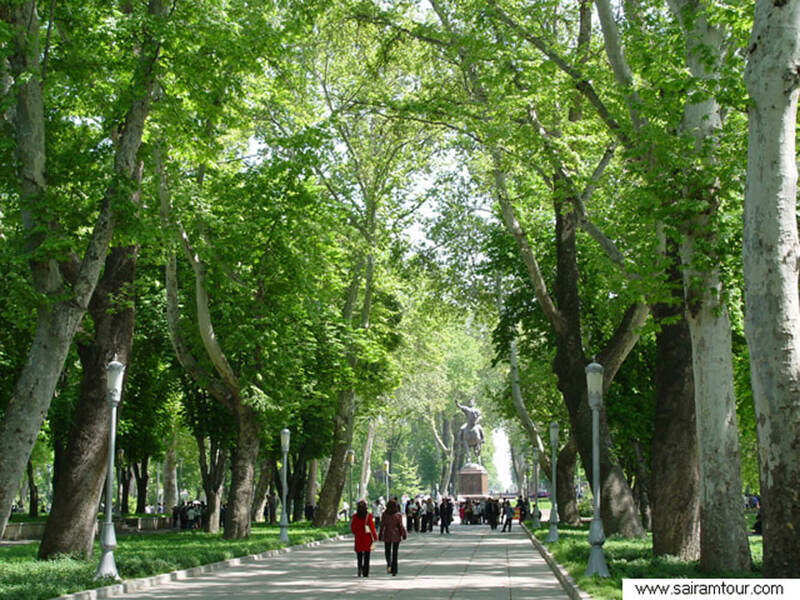 Samarkand town – Tashkent city. Sightseeing tour in Tashkent including visits of Kukeldash Madrassah, Kaffal Shashi Mausoleum, Barak Khan Madrassah, Mosque on Khasty Imam Street, Visit to Chor-Su (handicraft bazaar). Museum of History of Uzbekistan, Museum of Applied Arts. Alisher Navoi Theater and square. Amir Timur Monument and Square. Day 8. 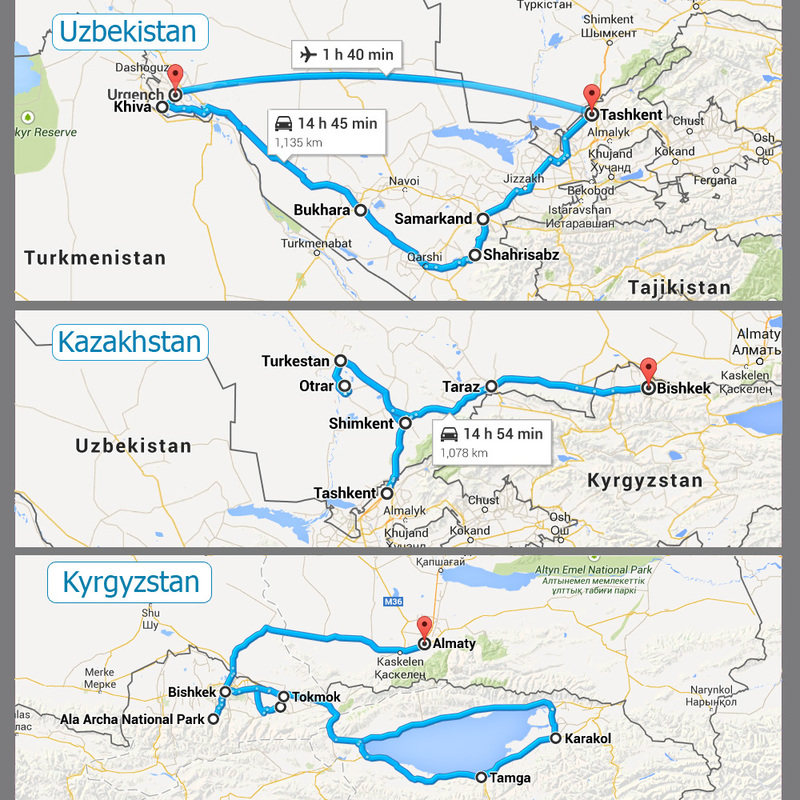 Tashkent city – Chimkent city – Turkestan town. In the morning meeting with Kyrgyz team on the Uzbek-Kazakh border. 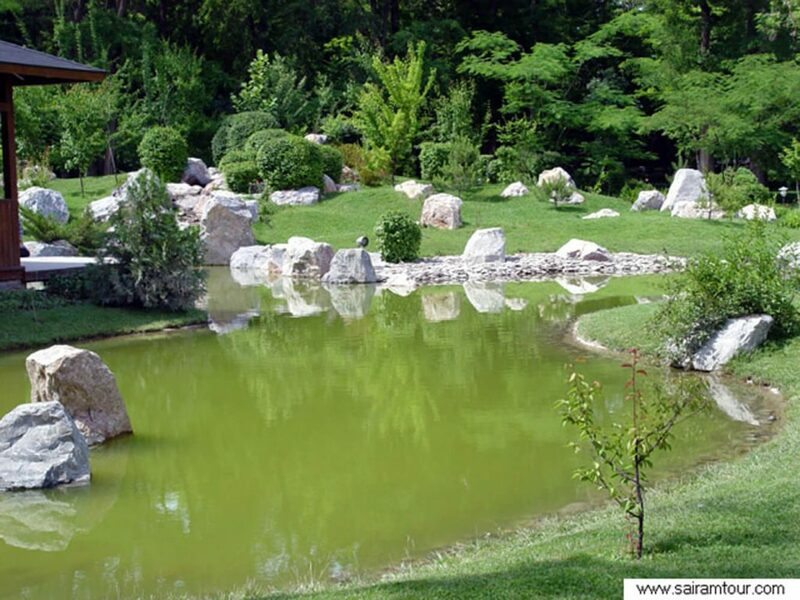 Transfer to Sairam town situated 10 km from Chimkent for excursion there. Sairam has practically no Soviet- or Russian-style architecture, and maintains an authentic Central Asian feel. It is considered to be one of the oldest settlements in Kazakhstan where mausoleums abound, and continue to be built even today. After excursion transfer to Turkestan town. Arrival and accommodation. Day 9. Turkestan town – Chimkent city. Today you have full sightseeing tour in Turkestan town. We visit Mausoleum of Khodja Akhmed Yassawi, situated in Turkestan. Also we visit the ancient town and the local museum. Then we drive back to Chimkent and on the way visit the ancient settlement of Otrar. After excursion we return to Chimkent (170 km from Otrar). Overnight and dinner in the hotel in Chimkent city. Day 10. Chimkent city – Bishkek city. All day driving from Chimkent to Bishkek. Near Taraz town visit two ancient graceful mausoleums of Aisha Bibi and Babadzha-hatun. In the evening accommodation and dinner in the hotel in Bishkek. Day 11. Bishkek city – Ala Archa gorge – Bishkek city. In the morning drive to Ala-Archa National Natural Park, located in a picturesque gorge of Ala Archa 40 km off from Bishkek. In the National Park you can easily hike along the main gorge of Ala Archa and back to enjoy views of magnificent peaks of Kyrgyz Alatau Ridge (Tien Shan Mountains). After lunch sightseeing tour in Bishkek. Visit central square Ala Too to watch a ceremony of changing of the Guard of Honor, and Manas Monument, the main national hero of the Kyrgyz people. Optionally: dinner with folklore performance. Day 12. 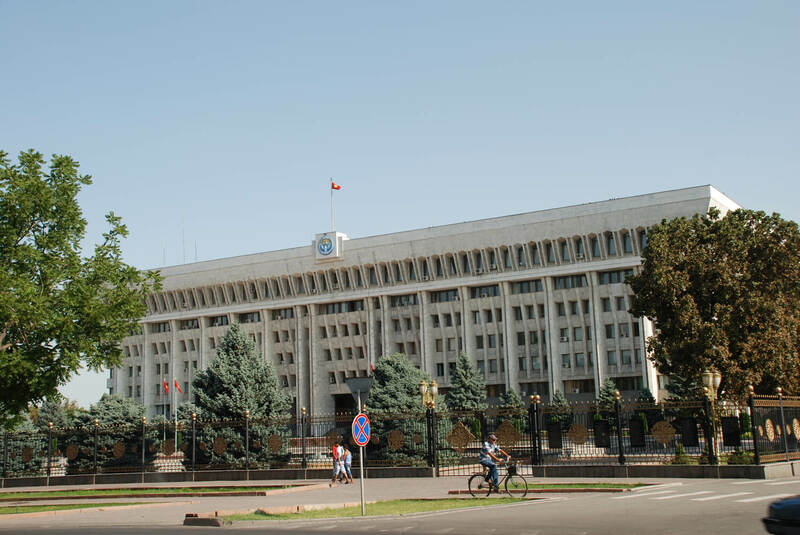 Bishkek city – Cholpon Ata town. In the morning one hour drive to Burana Tower (old minaret) near Tokmok city. That minaret was constructed in Balasagun town; one of thecapitals of Karakhanid State existed in 10-12 centuries AD. Explore ruins of that important trading point at the Great Silk Road and visit a little local museum telling about that civilization. Also watch a collection of Balbals, Turkic ancient tombs. After excursion lunch in the family house in Tokmok, where tourist can closer learn about life of local people. In the afternoon three hour drive to the Issyk-Kul Lake, the second largest alpine lake in the world. Arrival to the north shore of the lake and accommodation in one of the most famous resorts. Day 13. Cholpon Ata town – Karakol town. In the morning you visit Cholpon-Ata Petroglyphs site, the temple in the open air of Scythians and Hungsuns civilizations in 9-8 centuries BC till 3-4 centuries AD. 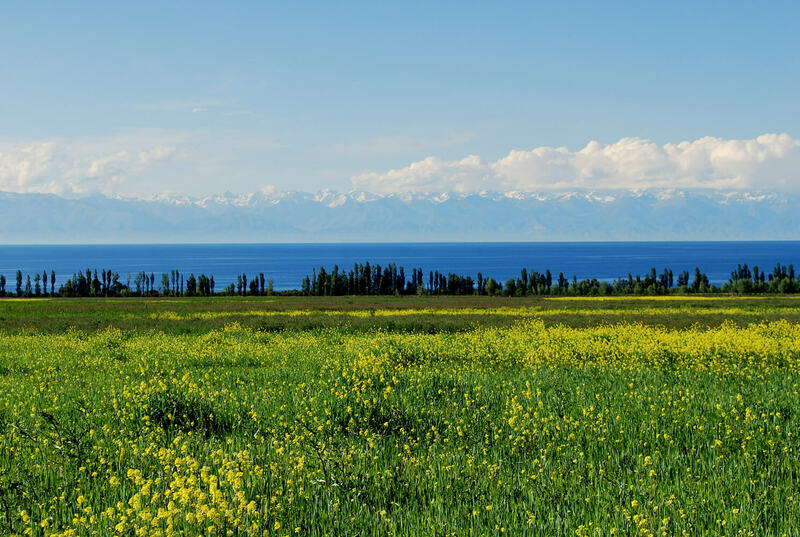 After excursion drive to Karakol town situated in the east of the lake area, at the foot of the most picturesque mountains of Tian Shan. Lunch in a café in Karakol. Then sightseeing tour in the town. Visit Dungan mosque, a unique construction in Chinese style, but serving as a mosque. Also you will see an old orthodox cathedral made of wood without any nails. Accommodation in a hotel/guest house. Dinner and overnight. Day 14. Karakol town – Djety Oguz gorge – Karakol town. In the morning short drive to Djety Oguz gorge and hiking up along the gorge. Afternoon transfer back to Karakol town. Dinner in a local café. Overnight in the hotel/guest house. Day 15. Karakol town – Bishkek city. Long way driving back to Bishkek. Transfer along the south shore of Issyk Kul Lake. Enjoying the views. Lunch en route. Dinner in Bishkek city. Evening arrival to Bishkek city. Accommodation and overnight. Day 16. 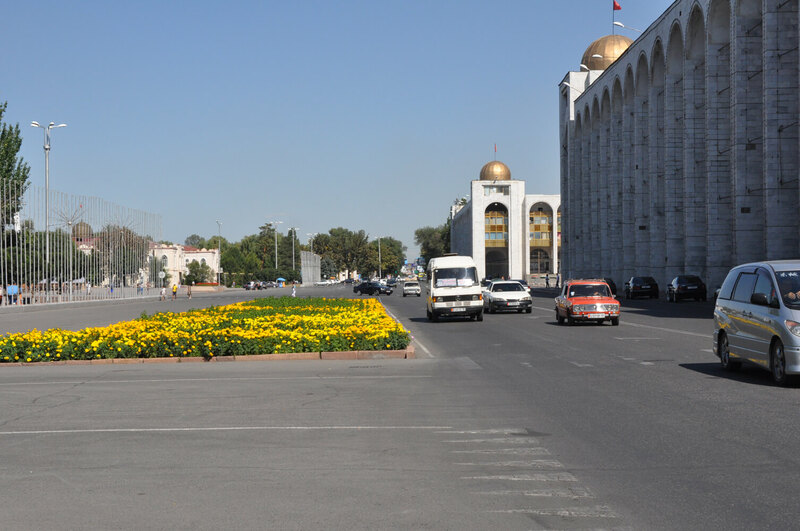 Bishkek city – Almaty city. In the morning transfer from Bishkek to Almaty. Crossing Kazakh-Kyrgyz border takes about one hour on the way to Almaty. Upon arrival in Almaty accommodation in the hotel. After a short rest excursion to the 28 Panfilovtsy Park to see Orthodox Cathedral, War Memorialand National Musical Instruments Museum. Day 16. Almaty city – airport. Transfers according to itinerary. 1 - 2 a/c minibuses (Mercedes Sprinter or similar) depending on group size. Ulaanbaatar city – Hustain Nuruu National preserve – Kharakorum city – Bayangobi – Ulaanbaatar city – Bishkek city – Bokonbaev village – Son Kul Lake – Kyzyl Oi village – Bishkek city.